It snowed yesterday around Happo-ike pond, and today around Riesen Grat, Usagidaira, Kurobishi and the upper area of Skyline, Panorama and Riesen! 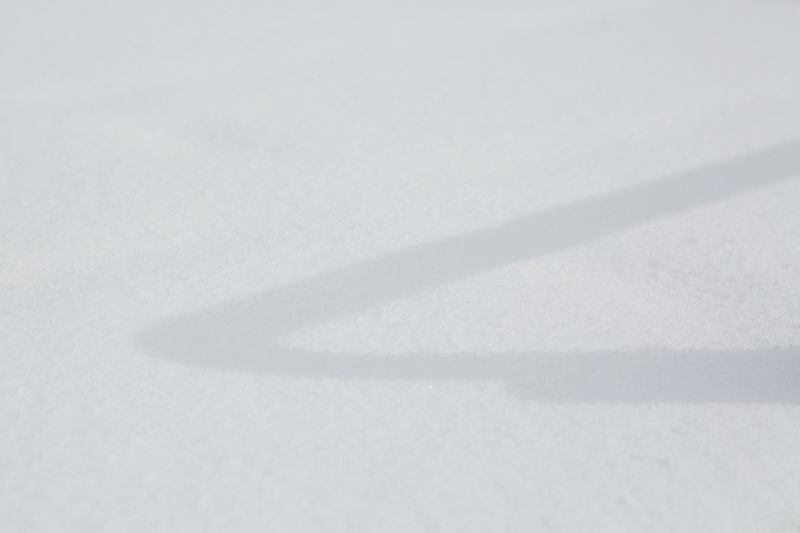 The first snowfall in the slope came 12 days later than last year, and 2 days later than the year before last. We had snow in the early morning in Kitaone-Kogen and the upper area under the influence of a distribution of atmospheric pressure in which the high-pressure area was to the west and the low-pressure area was to the east. 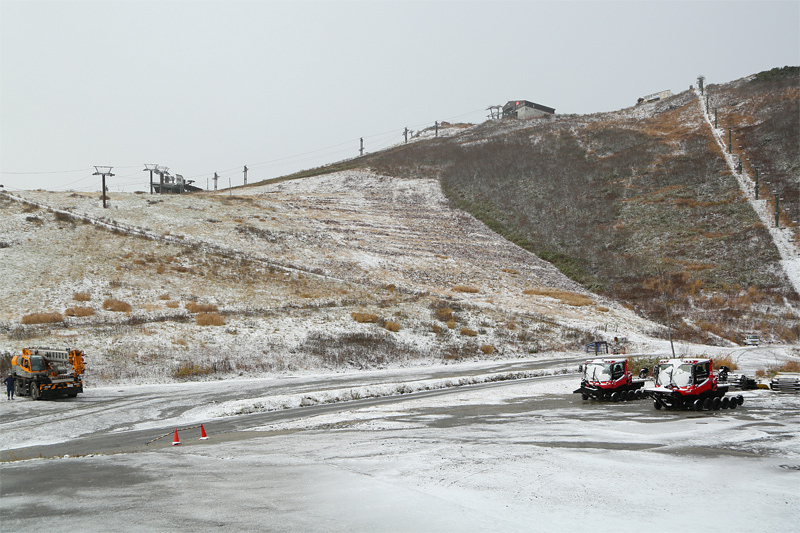 We had 2–4cm “patches” of fresh snow with moisture in Kurobishi because of the northerly wind. 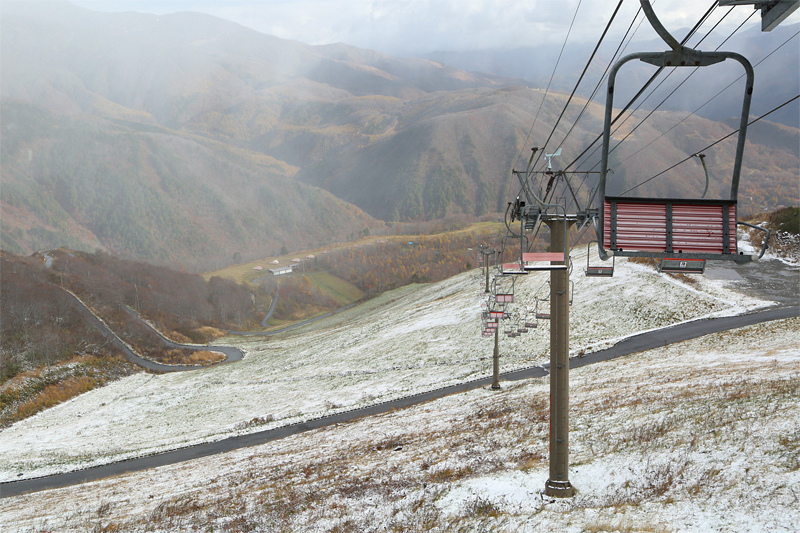 In addition, Kurobishi Rindo (*accessible until Nov. 4) was slippery with a thin layer of snow, which was like sherbet. The pulley and the wire of Kurobishi 2 were under maintenance for the opening. There was about 2cm of snow with moisture in the upper area of Skyline Course. The weather improved after 8 a.m., with the soft sunlight coming through clouds and the blue sky appearing.